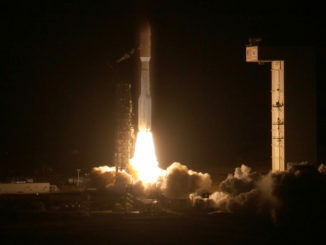 The United Launch Alliance Atlas 5 rocket leaves Space Launch Complex 3-East at Vandenberg Air Force Base in California on the NROL-42 satellite-deployment mission for the National Reconnaissance Office. 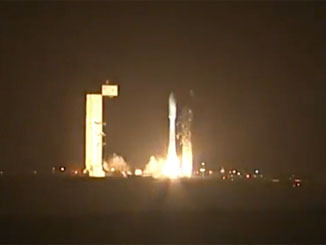 The Atlas 5 rocket blasts off from Vandenberg Air Force Base in California for its late-night ascent to deploy the NROL-42 payload for the National Reconnaissance Office. 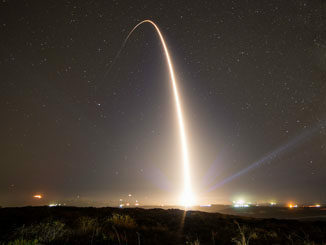 A signals intercepter for the U.S. spy satellite agency was successfully launched into a high orbit over the top of the world by an Atlas 5 rocket on Saturday night. 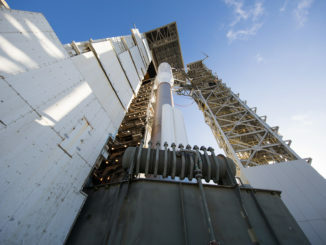 The mobile service tower retracts from the Atlas 5 rocket, revealing the 197-foot-tall vehicle for liftoff from Vandenberg Air Force Base, California, carrying the classified NROL-42 national security payload for the U.S. government. 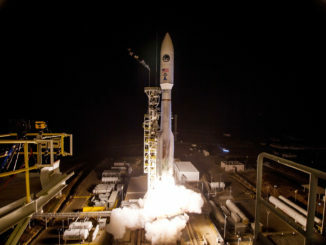 The United Launch Alliance Atlas 5 rocket, standing 197 feet tall and and weighing 1.2 million pounds, unleashes 2.4 million pounds of thrust from its main engine and four side-mounted solid boosters to launch the secret NROL-42 payload for the U.S. National Reconnaissance Office from Vandenberg Air Force Base, California. 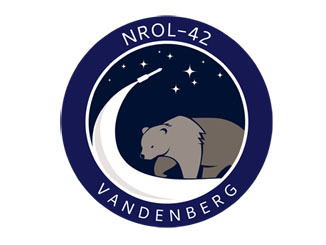 A United Launch Alliance Atlas 5 rocket powered away from Vandenberg Air Force Base in California tonight to place a classified surveillance satellite into space for the U.S. National Reconnaissance Office. Follow the ascent in our live journal. 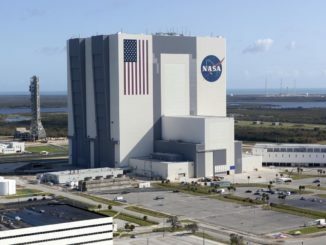 United Launch Alliance, a union of Atlas and Delta rockets formed a decade ago for U.S. government spacelift needs, will conduct its 25th deployment mission for the country’s spy satellite agency Thursday night. 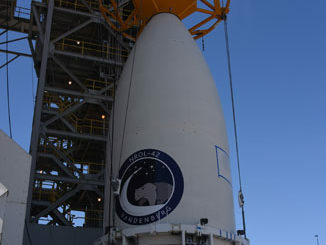 This photo gallery shows the classified National Reconnaissance Office payload, already encapsulated in the 18-foot-diameter nose cone, being lifted atop the United Launch Alliance Atlas-Centaur rocket at Vandenberg Air Force Base’s Space Launch Complex 3-East pad. 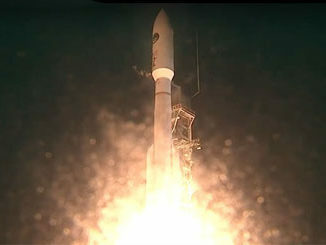 This milestone was achieved on Aug. 27. 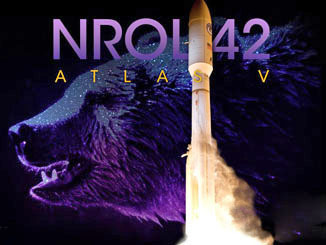 This is our comprehensive fact sheet previewing the United Launch Alliance Atlas 5 rocket deployment of the classified NROL-42 payload for the National Reconnaissance Office.